Don your uniform, shoulder your musket and march off to a new adventure at America’s first permanent overnight Civil War experience! The Civil War Adventure Camp allows participants from ages 8 and up to travel back in time and become a private in the Army. 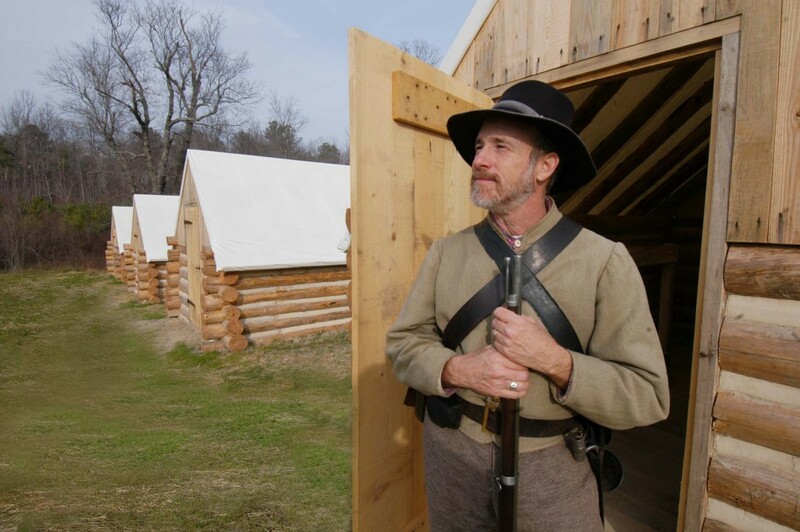 Campers select their choice of a Confederate or Union uniform, sleep in recreated huts or barracks, enjoy authentic Civil War-era hot meals, fire muskets, mortars, and more! Muster into the Army – Recite your oath of loyalty as you join up. Maneuvers – March with your company as you learn basic military drills. Field Medical Program – Diagnose soldier ailments and perform surgery on wounded comrades. Military Communications – Use signal flags and lanterns to code and decode messages to avoid enemy detection. Guard Duty – Protect the encampment from intruders. 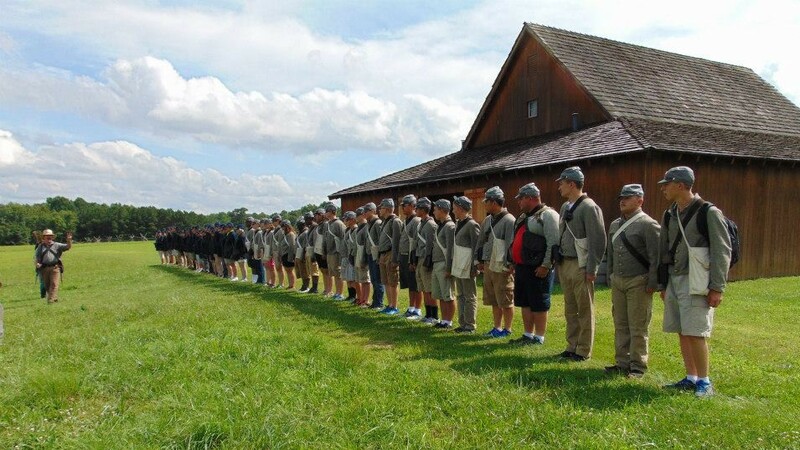 The Civil War Adventure Camp experience is geared to the needs of each individual group, offering experiences for pre-formed groups, as well as individuals. Advance reservations are required to participate in this one-of-a-kind adventure. The Civil War Adventure Camp is available throughout the year for pre-formed groups of twenty or more people. Camp capacity is limited to 55 participants at any given time. Modern locker and restroom facilities are available on-site and offer campers the opportunity to take a hot shower. The Civil War Adventure Camp experience brings a new definition to hands-on participation! Please contact Pamplin Historical Park at (804) 861-2408 for photography and additional Camp information. Please Click Here to download a pdf of the Volunteer Enlistment Information brochure. The Civil War Adventure Camp is operated by Pamplin Historical Park and the National Museum of the Civil War Soldier, and located on its 424-acre campus. The Park offers four museums, four historic homes, a National Historic Landmark Civil War battlefield, costumed interpreters, tours, and several miles of trails. It is located 30 minutes south of Richmond, Virginia at Exit 63A off Interstate I-85. For Park information, visit us at www.pamplinpark.org. Pamplin Historical Park is a 501(c) 3 non-profit organization.